Learn how Groundwater and Surface Water interact with this video from NGWA. 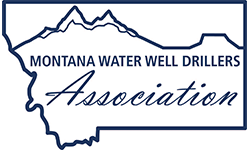 The Water Resources Division promotes and coordinates the beneficial use, conservation, protection and development of Montana’s water resources. Click here to learn more about the Department or to access their information. Click here to learn more about the BWWC approved courses offered by the International School of Well Drilling. The Ground Water Information Center at the Montana Bureau of Mines is the central repository for information on the ground-water resources of Montana. The data include well-completion reports from drillers, measurements of well performance and water quality based on site visits, water-level measurements at various wells for periods of up to 60 years, and water-quality reports for thousands of samples. The databases at GWIC are continually updated with new data from driller's logs, MBMG research projects, and research projects from other agencies. The Water Information System (WIS) is the starting point for finding water resources information in Montana, such as data on surface water, groundwater, water quality, riparian areas, water rights, climate data and more. The WIS makes high quality water information, including GIS data, interactive applications, maps, and water-related links, discoverable to the public from one common starting place.